From the rise of crypto to sexual misconduct, 2017 is one for the books. These are the ten trends that shaped the tech industry over the past year. Perhaps the most impactful trend this year is the proliferation of blockchain technologies and cryptocurrencies into the mainstream. On the blockchain front we’ve seen a wide array of potential applications from real estate to art dealing and diamond trade. In crypto, we moved from Voice over IP to Money over IP, and saw Bitcoin cross the $10,000 line. ICOs (initial coin offerings) became a ‘thing’ — tokenize everything, with people spending over $1 million to buy virtual cats with Ethereum on the virtual pet game CryptoKitties (it’s been acquired since). For a second it looked like white papers were replacing the fundraising deck, with startups that struggled to raise funding in traditional ways completing multi-millions ICOs seemingly overnight. Unfortunately, a large percent of ICOs feel like a potential scam; money gets taken off the table quickly with almost no supervision, and with the only collateral at risk being reputation (and in some cases, not even that). This is just the beginning in my opinion, but regulation is likely to step in very soon. The hype around AI reached new heights in 2017. Using a decision tree to apply a set of rules, or operating a chatbot doesn't necessarily qualify as using AI, but it is almost inevitable to avoid having some form of machine learning, deep leaning, neuro-linguistic programming etc. in today’s tech startups. As a field, AI made major breakthroughs this year, namely DeepMind’s AlphaGo decisive victory over the Go world champion, and then the improved version AlphaGo Zero, which was self taught and performed even better. There’s no doubt that AI will continue to penetrate entire industries, in particular automotive (self driving vehicles), robotics, drones, healthcare and marketing tech — from advertising to customer service. Another aspect of the rise of AI is the infrastructure side: new chips from Nvidia, Google and Graphcore will fuel our growing need for fast data processing. The Artificial Intelligence Index 2017, a project within the Stanford 100 Year Study on AI, has some fantastic nuggets on the number of AI academic papers published, the number of students enrolled into AI courses, the growth rate of AI startups, etc. There’s one big problem with the perception of data being the new oil, the CEO of a successful AI startup told me. Large corporations are sure they are sitting on an oil field, and so spend millions to include their data in expensive data lakes, only to find that’s it’s hard to refine that crude oil. Organizations are simply ‘sitting’ on their data, or paying for unproven expensive solutions. We are producing more data than ever before in human history, and are getting better at understanding the patterns and the meaning of that data, but there’s still a lot of friction in obtaining that data and using it wisely. For example, researchers can now predict the face of person based on a tiny sample of DNA. We are able to predict what customers will churn or upgrade simply by watching a small sample of their behavior, and soon we should be able to predict where and when a crime is about to happen, by applying models to surveillance data and past crime statistics. Where does the line cross? Ethical considerations are becoming a major part of big data and machine learning startups, with several companies and industry bodies formed to tackle these questions. Almost no week goes by without a major hack dominating the headlines. It seems like the cybersecurity industry will only get bigger, with more and more devices getting online, from our cars to our appliances. We saw the rise of ‘dark marketing’, where advertisers are able to target individuals based on increasingly granular attributes (including race, religion, beliefs) and as Scott Galloway said, “weaponize Facebook” as a platform to change public opinion. 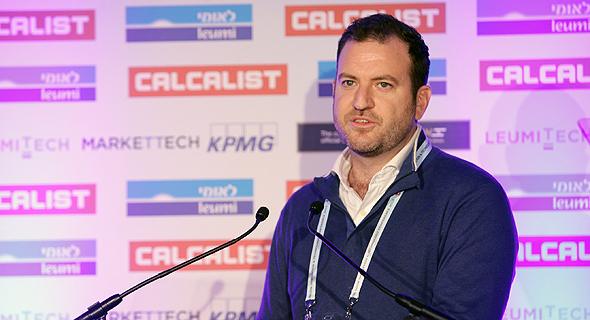 Israeli startups attracted about 20% of the global funding for the security sector, with the IPO of ForScout Technologies giving the company an $897 million market cap. Five companies now dominate tech (Google, Apple, Facebook, Amazon and Microsoft), or seven if you add Alibaba and Tencent. Their power in the market is almost absolute. For example, 99% of digital advertising growth is going to Facebook and Google. Just look at the size of Amazon compared to the rest of the retail industry combined. Since April, not a month went by without a major allegation of sexual misconduct surfacing in the tech, entertainment and venture capital industries. Allegations have been made about (and were confirmed by) at least 38 men in the industry, including angel investor Dave McLure, venture capitalist Jason Caldbeck, venture capitalist Steve Juverston, venture capitalist and investor Shervin Pishevar, and others. The growing list of cases can sadly be found here. The revelations steered public debate and launched a backlash against the ‘tech bros’ culture of Silicon Valley. It has taken considerable courage for the victims to come forward, but slowly and surely it’s ridding the industry from these abusive, repulsive behaviors. Meanwhile at Google, an engineer’s ‘manifesto’ (a.k.a rant) caused a diversity uproar as he claimed that women are less suited than men to work in tech. He was quickly fired for violating the Google code of conduct. The positive outcome of this trend is the commitment to apply a stronger code of conduct in startups and funds and increase the diversity of partners at venture capital firms. The U.S. elections brought 'fake news' into the mainstream, and with it an understanding that we can be easily manipulated as people. Several of the major tech companies have taken some steps to remedy the situation. Google has partnered with nonpartisan organization the International Fact-Checking Network, and Facebook is establishing better controls around political ads and increasing the transparency of the advertisers behind them. These new measures to control the use of the platforms are challenging for the tech giants, as they are burdensome and not failure proof. More of a recent meme, but it seems to have caught on. While there’s more money flowing into venture capital than ever, it seems to be getting harder for founders to raise those first checks. Fred Wilson’s post on early stage fundraising for startups was widely shared and reminded me of the “R.I.P Good times” presentation by Sequoia in 2008 as a ‘moment’ in tech. Low interest rates and relatively little liquidity (in terms of IPOs but also seen in the slower pace of acquisitions and smaller tickets by tech giants) have meant that it’s getting harder to raise the early stage rounds, and those who succeed will have to do so at a lower valuation. That’s probably a good thing for the industry, and Fred explains why: for entrepreneurs just starting out, it will be tougher to raise your first rounds. That is how it has always been, so it is a return to normal. It is not great news, but it is the reality. If you price your seed round appropriately and have a good team and plan, you can raise money. But it will be harder. For investors, it means seed rounds are going to be the place to be. When others leave the market, it's the time to get in. This is as it should be. The risks of seed investments are so significant that the valuations need to be reasonable. When you lose on 60%–80% of your investments, you really need the ability to make 10–20 folds on your winners. And getting the entry pricing right is part of how that happens. This is partially a signal to investors: be the change you want to see in the industry. The companies that rang the bell at Nasdaq in 2017 broke what seemed to be a dry spell in tech IPOs. While most performed well, including retail startup Stitch Fix, identity management company Okta and database platform MongoDB, but others like Snap and Blue Apron have taken a beating in the market. We didn’t see Uber, Slack or AirBnb on Wall Street yet — perhaps the liquidity that those exits would provide is what’s going to reverse the seed slump. Let’s take the latest KPMG Venture Pulse report. In the third quarter of 2017, 2,672 deals raised a total of $39.4 billion globally. 18% of those dollars were invested by corporates. From the Fortune 500 companies, 30% already invest in startups or have a venture program. On the Fortune 100, it’s 50%. Corporates understand that entire industries are being disrupted by software (and now more specifically machine learning and AI), and that they need to invest to survive and thrive, not only as a strategic priority (access to technology, etc.) but also from a financial returns perspective. Think about Yahoo and their Tencent stake at the time — how much did it contribute to the company's value? Some call CVCs ‘tourist capital’, since in the past cycle corporates who had started to invest actively pulled out when the corporates took a hit in the markets, in many cases damaging the startups they’ve invested in by ‘orphaning’ them. This time, however, many believe it’s different. Challenges remain around incentives (financial vs. strategic), but it seems like CVCs are here to stay. The most ambitious corporate backed VC model this year is the Softbank Vision fund. With around $100 billion under management, Masayoshi Son has been making bold bets on what they perceive as the category winners worldwide, deploying $100+ million and more at a time into small and big companies alike. Investments include Nvidia, WeWork, Slack, India-based Oyo Rooms and very soon, Uber. Softbank’s CEO wants to raise life expectancy to 200 years, and believes that AI and robotics will change our lives and that prices are not high — this is just the beginning, he said. Eze Vidra is a startup investor and platform builder. He’s the founder of Google’s Campus London, of Techbikers, a non-profit organization supporting children's education and tech community building through cycling, and of VC Cafe, and a former general partner at Google Ventures. You can follow him on Twitter at @ediggs.